ThemPra is a team of currently 6 ‘ThemPrinis’ based in different parts of the UK and continental Europe: Sylvia Holthoff lives in North East Germany, Gabriel Eichsteller resides on Anglesey in North Wales, Alexandra Priver is based in Chelmsford, Andy Carter in Cumbria, Charlotte Firing on the outskirts of Copenhagen in Denmark, and Anthony Moorcroft in Blackburn. Below you can find more about each of us at a professional, personal and private level. I’m a German pedagogue and qualified nearly twenty years ago, with the main focus on working with people with learning disabilities and special needs. Over the years, I have had the opportunity to gain experience in different work settings and roles. This includes working with young people in outdoor experiential learning settings, leading on a residential care pilot programme for young people, and developing a cross-border Polish-German concept for environmental education for people with learning disabilities. In the course of my career, I have qualified as an outdoor & experiential learning facilitator and as a systemic counsellor. Together with Gabriel, I developed and facilitated the first UK social pedagogy course as part of the National Center for Excellence in Residential Child Care pilot project, which was the starting point to setting up ThemPra together in 2008. In what I do, I’m mostly driven by the thrill to develop and facilitate learning opportunities where people can explore their own understanding of a subject or a situation and can thus further unfold their potential. From my perspective, there is an inherent connectedness between the learning setting and to how people can then do this, and I view it as my task to create the kinds of learning settings that offer the most benefit to individual and groups. It is always a great moment when someone realises their potential and scope for learning – especially if they have not realised before that they have this potential. I enjoy a diverse life between the busy-ness of a big city like Berlin and living in the country side on the Polish-German border. And I very much like being outside, hiking or gardening and listening to music. I have studied social pedagogy, social work and sociology of childhood in Germany, Denmark, and the UK. I have gained international practice experience in play work, youth work, children’s participation and advocacy. Together with Sylvia, I developed and facilitated the first UK social pedagogy course as part of the National Centre for Excellence in Residential Child Care pilot project in 2007, which ultimately led us to set up ThemPra. I have been leading on our EU-funded Leonardo Mobility projects and am closely involved in our new Erasmus+ project developing a Massive Open Online Course in social pedagogy and the CUSP-led Scaling Up Social Pedagogy. Since its inception in 2009, I have been co-ordinating the Social Pedagogy Development Network, and I am also jointly editing the International Journal of Social Pedagogy. Both within and outside of my work, I am driven by a belief that each person is inherently resourceful and possesses the potential to change the world. It’s the small ways in which we can make the world a better place for others that really matter in my view, and I love seeing how our course participants take inspiration from social pedagogical concepts and principles to make a huge difference. Living on Anglesey, North Wales, I enjoy being outdoors at the beach or in the mountains, particularly in the company of my wife and little son, or reading a good crime novel on the occasional rainy day. I am an internationally accomplished social pedagogue currently living and working in England. Having qualified as a social pedagogue and social worker in my native Germany (2001), I have worked in a number of European countries. My areas of expertise include children in residential care and social pedagogy family support (SPFH). Since moving to England in 2008, I have gained experience in child protection, child placement teams, leaving and after care, and family group conferencing services. This has given me a wealth of social pedagogy knowledge coupled with British social services experience, which enables me to creatively adapt courses and activities to the needs of individuals and organisations. 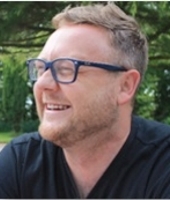 I joined ThemPra in 2009 and have since led and co-facilitated different social pedagogy courses and implementation programmes with various local authorities, voluntary and charitable organizations throughout the UK. 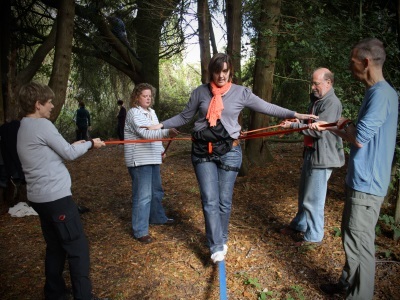 I am a skilled and passionate experiential learning facilitator, using efficient methods to bring groups together along their social pedagogy journeys. I have both contributed to our current courses and co-developed new ThemPra courses. 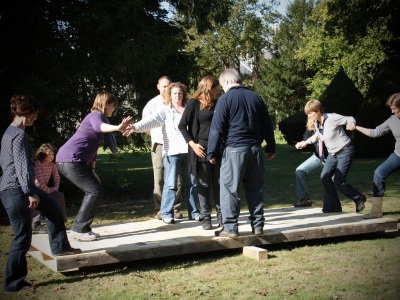 Through my involvement in our projects throughout the UK, I have gained a unique understanding of the benefits of developing social pedagogy in a variety of different services and how to creatively overcome perceived obstacles. Over the years, I have travelled and lived in different countries and have become fascinated by ‘the possibility of achieving equality for everybody, while understanding the diverse situations of the people’. On this journey, I have found the theory and practice of non-violent communication, the language of my Haltung. I aim to live the value of lifelong learning, keen to develop as mother, partner, colleague and self while exploring the world and my environment, sometimes under water as a scuba diver or when fasting or as a keen gardener. I have worked as a Qualified Teacher and Social Worker with young people for more years than I will admit to. I have extensive experience of working in a wide range of settings offering both formal and informal education to children and young people both in and on the edge of care. 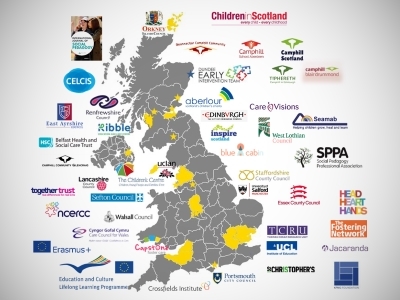 I have worked for ThemPra since 2010, facilitating learning in a number of situations including large and small Local Authorities, Independent Children’s homes and Camphill Communities. My career started in a special education unit in Cumbria where I saw and experienced the challenges for that group of young people within the formal education system and society. I then went on to work in a number of situations, always with a similar group of young people who offered many challenges to a traditional approach to care and education. As a response to this I adopted a social pedagogical approach to my work, which led to positive outcomes for the young people. Inspired by this, I then moved to work for ThemPra, where I am in a position to share his passion, knowledge and expertise with others. I live on the edge of the Lake District and spend my free time mountain biking, cycling, walking, travelling and generally having fun in the outdoors. 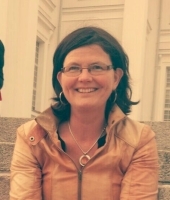 I am a Danish social pedagogue with 20 years of experience, including 10 years as homes manager. My main areas of working experience are with children and adults with learning disabilities and in child and youth psychiatry. I am a trained coach and have a Masters in educational sociology from the University of Aarhus. 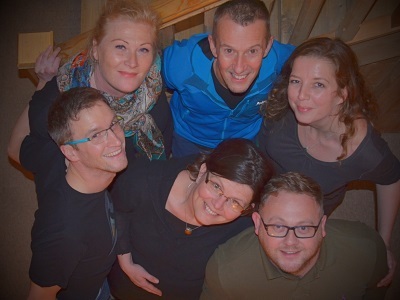 In Denmark I work as a facilitator with Phoenix, an independent consultant and, among other things, on our Erasmus+ funded MOOC. In the UK context, I have 5 years of experience co-facilitating within the Head Heart Hands programme, Camphill Communities in Scotland and Ireland and various local authorities. I live in Copenhagen and enjoy gardening, reading and travelling. I have worked in the care setting for 12 years, predominately in residential homes for children and young people both with and without disabilities. I participated in the 6-day social pedagogy pilot course run by Sylvia and Gabriel in 2007, which had a profound impact on me. I undertook a BA degree in social pedagogy at the University of Aberdeen, graduating in 2014, and then left the local authority for which I worked to join ThemPra in 2015. I currently facilitate team development sessions and courses for ThemPra and also teach on UCLan’s new BA degree in social pedagogy, advocacy and participation. I have a passion for the creative arts and how these can influence our social pedagogy journeys. 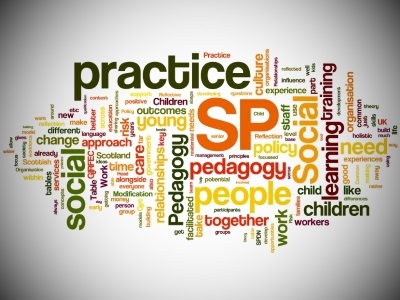 The history of social pedagogy is also of great interest to me as, being from the British care system, I am keen to establish the differences that it might help shape our future. I also love to get involved in the creative arts outside of the pedagogy arena and have a love for live theatre performances. Two of my other great passions are cooking and fashion.I am father to three girls, and this is the place I like to retreat to. For specific projects, we’re also fortunate to be able to involve our external consultants Robyn Kemp, Evelyn Vrouwenfelder and Nicola Boyce. All of them have longstanding connections with us and enrich us with their expertise. Back in 2007, Sylvia and Gabriel developed and facilitated the first social pedagogy seminars in the UK for the pilot project run by the National Centre for Excellence in Residential Child Care and funded by the Social Education Trust (SET). As part of that project Robyn Kemp introduced us to residential child care in the UK. Through this we also met Mike Tidball, former trustee of the SET, who helped us set up ThemPra and acted as third director and company secretary until his retirement in July 2010. Since then ThemPra has grown, and we’ve met many more people who have become friends and supporters. Robyn Kemp and Alex Priver started work with us on the Essex project as co-facilitators in early 2009 and 2010 respectively. 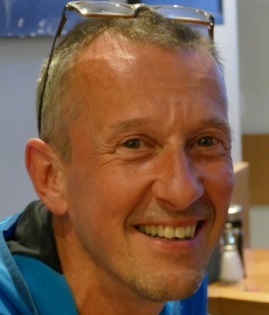 Andy Carter joined us in August 2010 with lots of excitement and creative ideas to take over Mike’s role and expand it further. 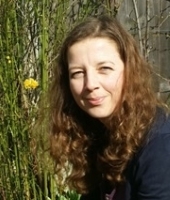 Charlotte Firing began her introduction to the world of ThemPra in February 2011 and has quickly become an important contributor to our projects, especially the EU Leonardo Mobility. 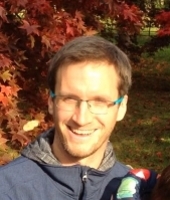 And Anthony Moorcroft, who was one of the participants on our NCERCC social pedagogy course back in 2007, came on board in April 2015, having collaborated with us on the EU Leonardo Mobility projects before. Since January 2016, Robyn is no longer a permanent part of the ThemPra team but continues to be connected to us as an external consultant. 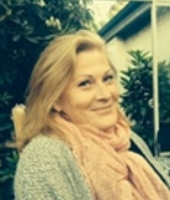 Having been intricately involved with ThemPra for 7 years, she has played a substantial role in supporting the development of social pedagogy in many of our pioneering projects, in shaping us as an organisation and in contributing to the discourse around social pedagogy in the UK as one of the leading voices with her unique expertise. We’re therefore really pleased that she continues to remain closely connected to the world of social pedagogy as part of her role as Director of the Centre for Social Work Practice. As a social enterprise we have been committed to serving a wider purpose and being an organisation with a difference from the start. 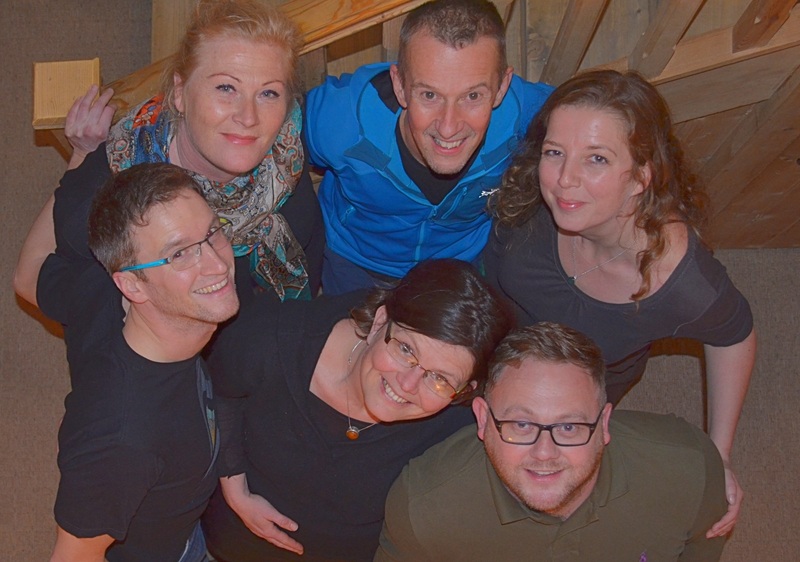 In coaching other organisations to develop social pedagogy within their practice and culture, we feel strongly that social pedagogical principles must also apply to the ways we work as an organisation both externally and internally. 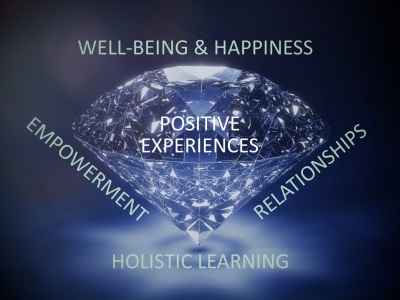 We want to nurture authentic relationships, focus on strengths and potential, create meaningful learning, encourage a sense of empowerment and celebrate the profound sense of joy that comes from making a positive difference. 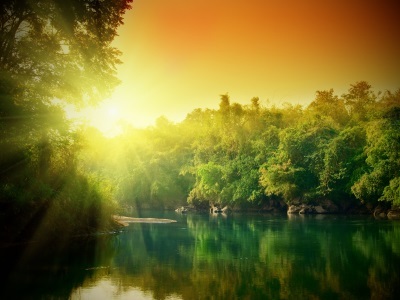 Our journey towards becoming a TEAL organisation – described by Frederic Laloux in his influential book Reinventing Organizations as self-managing, soulful and purpose-driven organisations – is now enabling us to translate these principles more effectively into our own structures and internal practices in ways that feel very congruent with what attracted us to ThemPra in the first place. We’ve always been purpose-driven, and now feel even more encouraged to make our purpose central to everything and listen more to it. We have also aspired to provide a soulful organisational culture in which we each can bring in all our sides as human beings and form authentic relationships – and in our experience this has been one of the most important reasons for our success as a pioneering organisation. As a virtual team engaged in a variety of projects, our different team members have always shown a high level of self-management. As an emerging teal organisation we now see self-management not just as a necessity but value it even more as an asset. Adopting the advice process to make decisions has meant that we make better decisions, make them faster and more inclusively and that we all feel trusted to take responsibility. We’ve been fortunate to have found an excellent external consultant in Judy Rees whose support has helped us develop towards a TEAL organisation and has offered us a clear sense of direction and connectedness both to our inner motivations and to a wider movement – a sense that what we do as an organisation has a sound foundation, that we’re not successful despite the ways in which we operate but because of them. Frederic Laloux’s research has been truly inspirational and, together with Judy’s brilliant coaching, provided us with new ideas and ways to work through the challenges that characterise meaningful change. We’re always happy to share more insights into our journey towards TEAL and to support other organisations in reinventing themselves. Please feel free to get in touch with us to find out more.